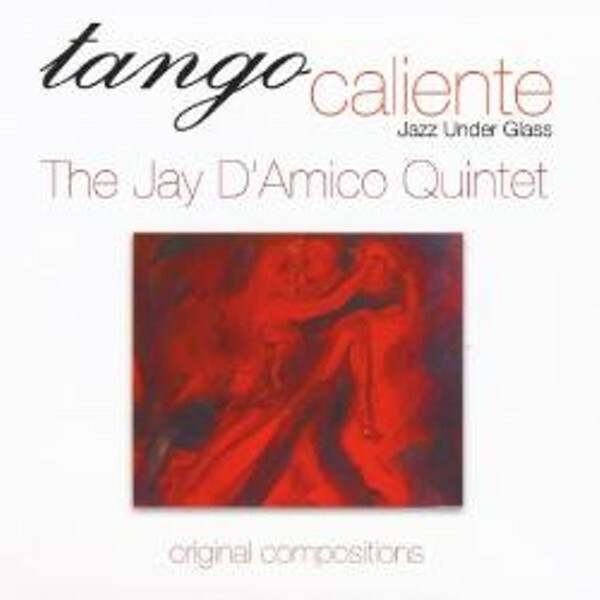 “Tango Caliente,” the new album by The Jay D’Amico Quintet, is so good it may make you wonder why D’Amico is not better known. Over his four decade career he’s collaborated extensively with bassist Milt Hinton, and from 1984 to the night before 9/11, D’Amico was pianist in residence at Windows on the World, the restaurant at the top of the World Trade Center. On “Tango Caliente,” the latest of only six albums he has released since the early 1980s, D’Amico wrote seven out of the eight tunes and arranged all of them. While the title track is a lively Latin romp, other compositions, like “23rd & 8th,” can get a bit further out. When D’Amico takes a solo the emphasis is more on melody than pyrotechnics. On most of the cuts it’s the arrangements that carry D’Amico’s signature. In “Etruscan Call,” “Ballad in E Minor” and others, he generously turns the spotlight on his sidemen, prominently showcasing their horn lines and solos over his accompaniment. Solid support comes throughout from Paul Gill on bass; Tim Horner, drums; Andrew Sterman, tenor saxophone and flute; and Richie Vitale, trumpet and flugelhorn. If that last name seems familiar it’s because Vitale is a Rochester native, part of a family that has produced three excellent jazz musicians. Vitale produced the album, contributed one of its finest tunes (“Song for Maria”) and plays several stunning solos. He is clearly the second star on this CD.